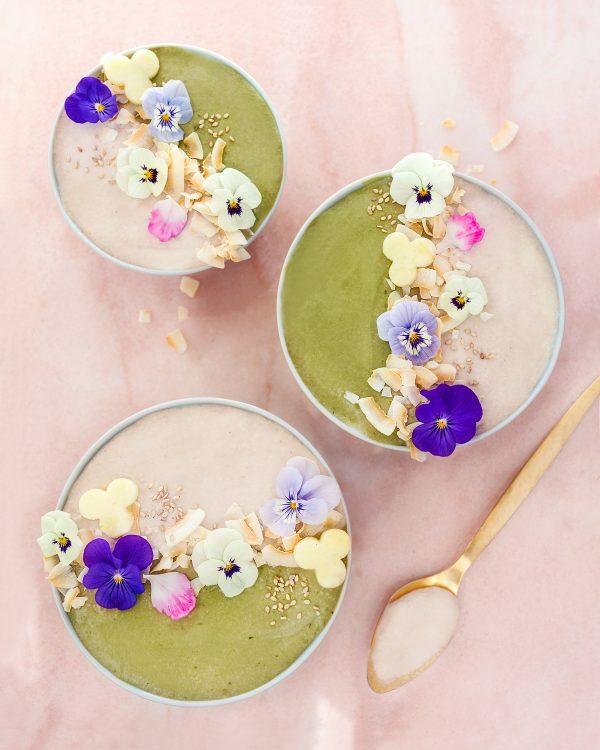 Lovely and fresh smoothie bowls with matcha hide beautifying ingredients that nourish your body and soul. These pretty bowls make also your breakfast table look dreamy. Gluten-free and vegan breakfast pizza with pink crust makes the sweetest breakfast. 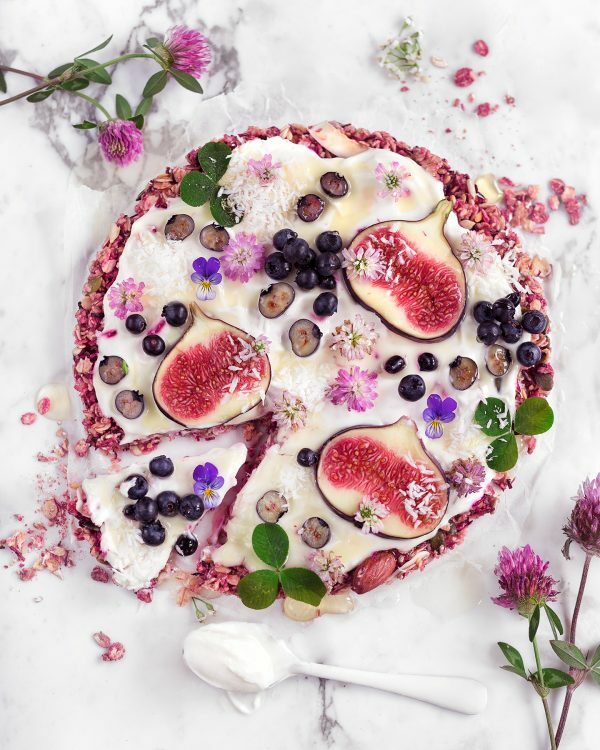 This granola pizza is easy to make and fun to eat and serve on a brekkie. 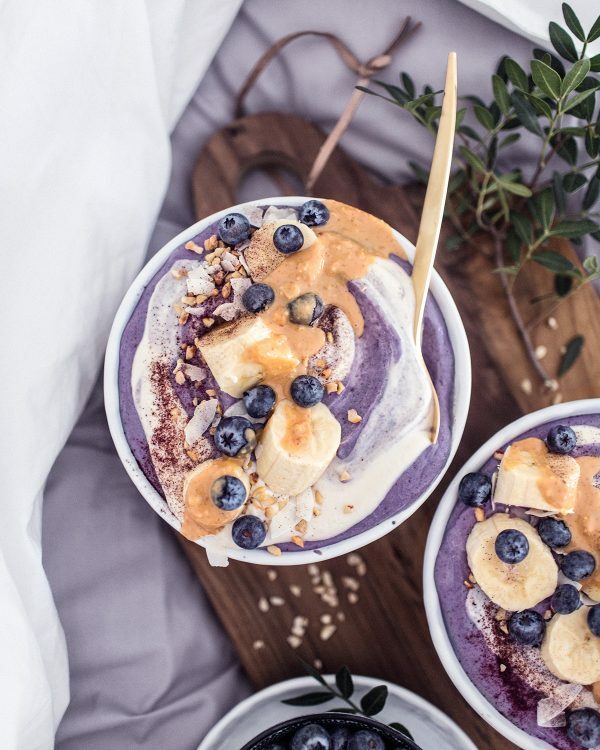 A lovely quinoa-based vegan yogurt flavored with blueberries and vanilla is something fun and new. This yogurt is also suitable for people with allergies! 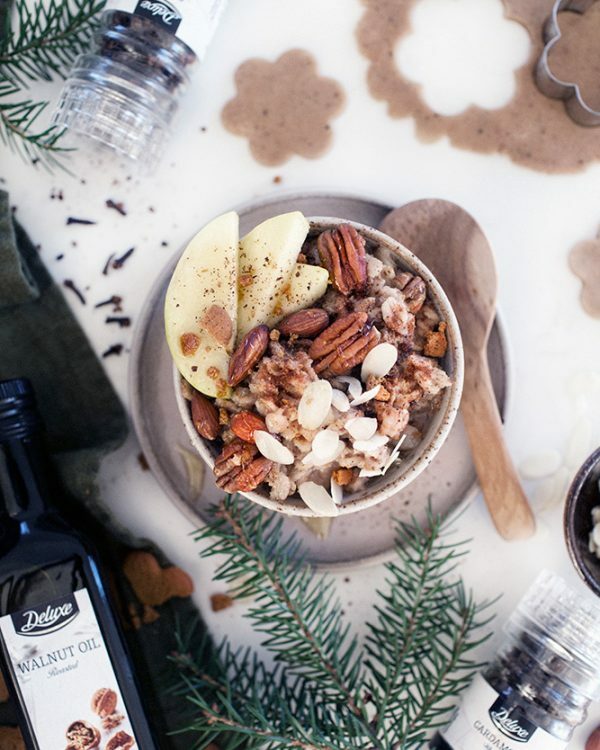 This gluten-free and naturally sweetened gingerbread oatmeal porridge with warm notes must be the most comforting breakfast for Christmas morning. 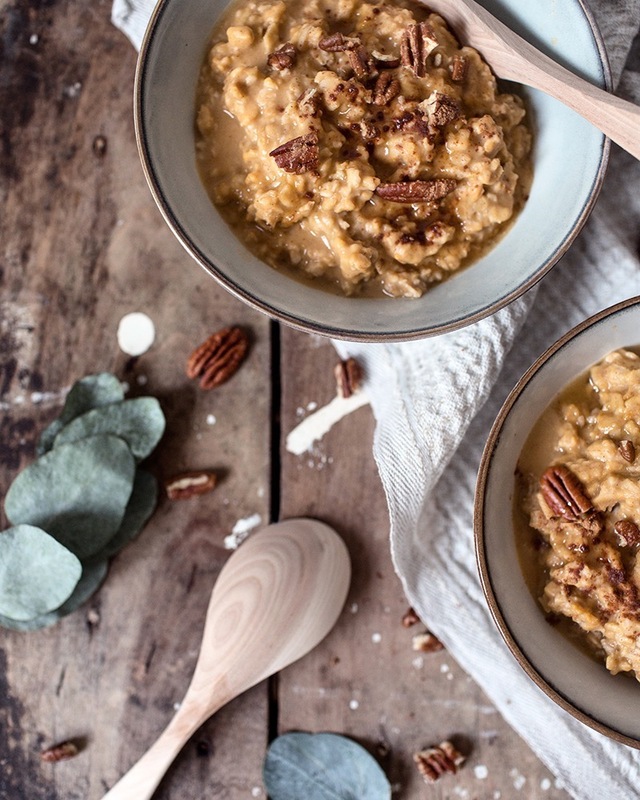 The most delicious porridge of the season combines oats and sweet potato with a dash of warm notes from cinnamon and cardamom. Highly nourishing. 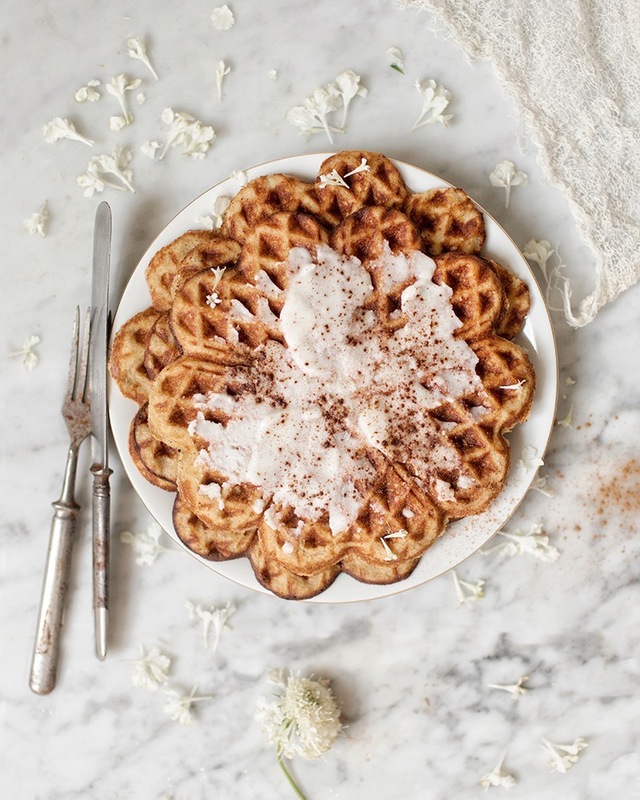 Here are some tasty and healthy breakfast waffles for all you cinnamon bun lovers out there! Delicious brekkie material and easily translated into vegan version too. 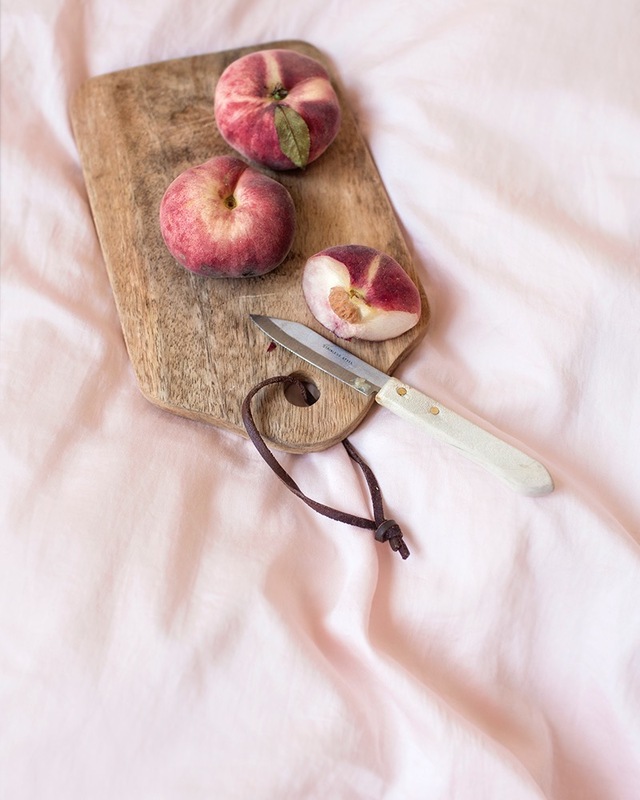 Dairy-free coconut yogurt gets its sweetness from fresh peaches and crunchy and tasty sidekick from homemade granola. Very cute, delish and comforting! 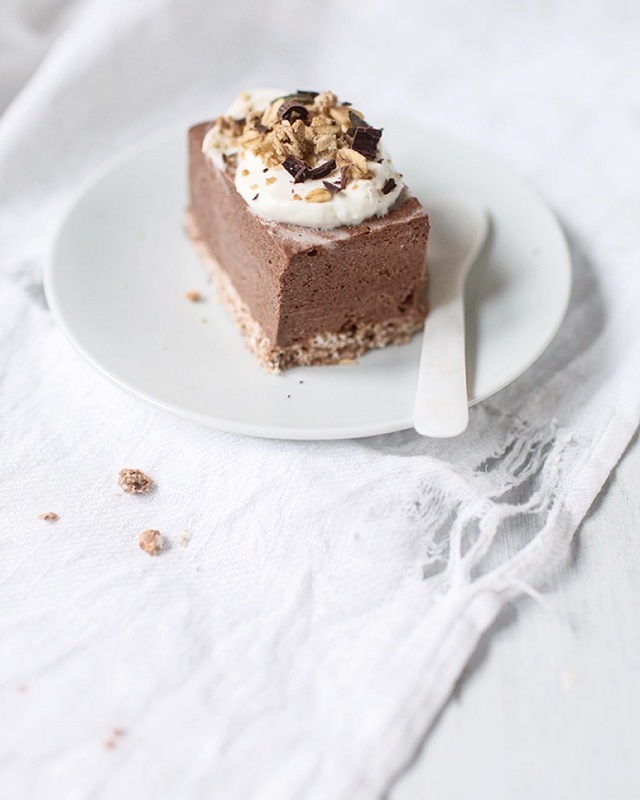 This raw breakfast cake combines granola and chocolate pudding in a fun and delicious way. 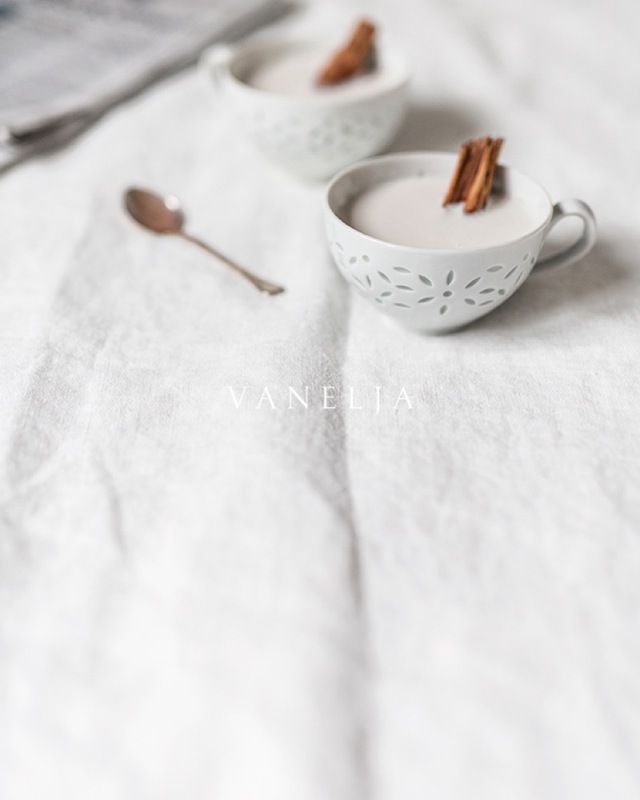 It´s a perfect treat for example for the slow weekend mornings! 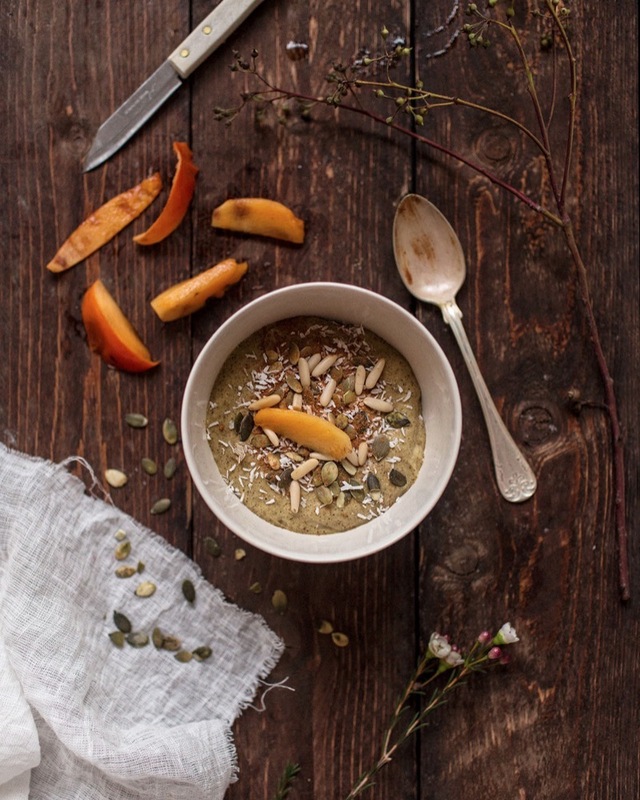 This green and fruity breakfast bowl is full of life and freshness. It´s a perfectly rich and fresh at the same time and gives you good omegas, good fibers and lots of good energy! 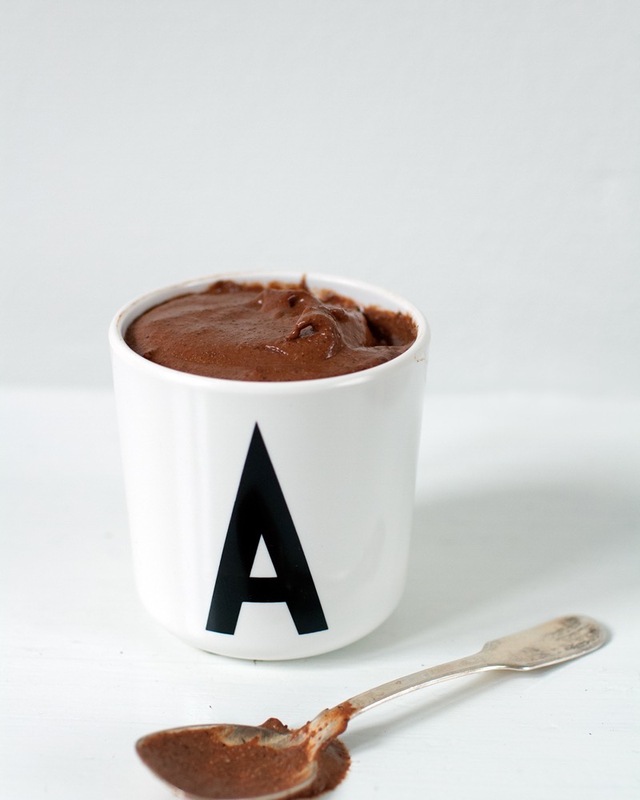 This soft and sweet pudding gives you a an ethereal wake up. Organic gelatin makes it little bit jellylike and the spices give gentle warmth to the taste. 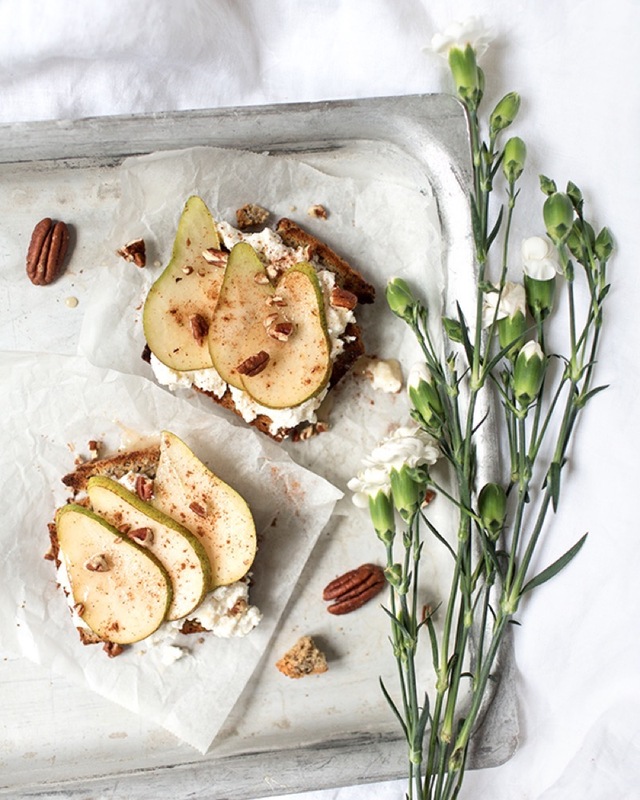 Tasty grain-free toasts served with some ricotta, pear slices, cinnamon, honey and pecan nuts makes a heavenly delicious breakfast. 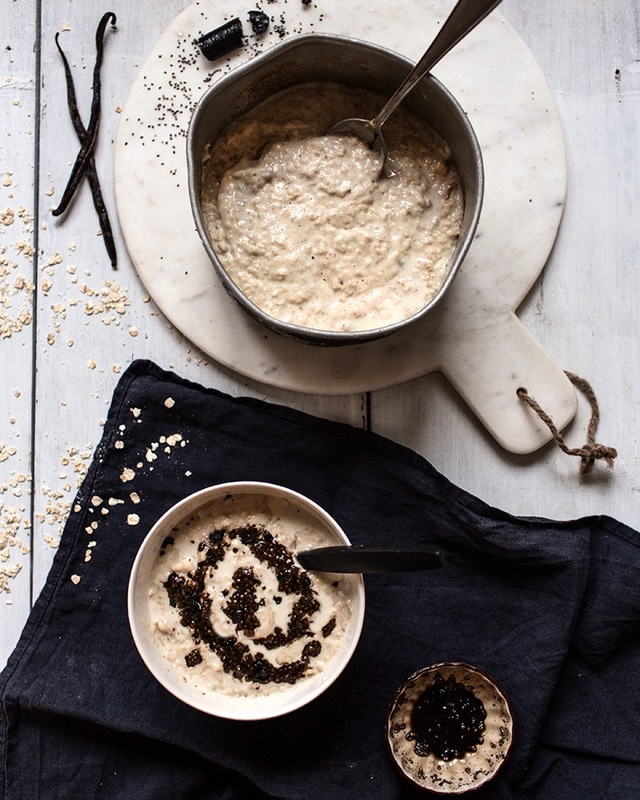 This oat porridge is cooked with banana, coconut milk and oat milk. The biggest secret of this morning treasure is a licorice chia jam. 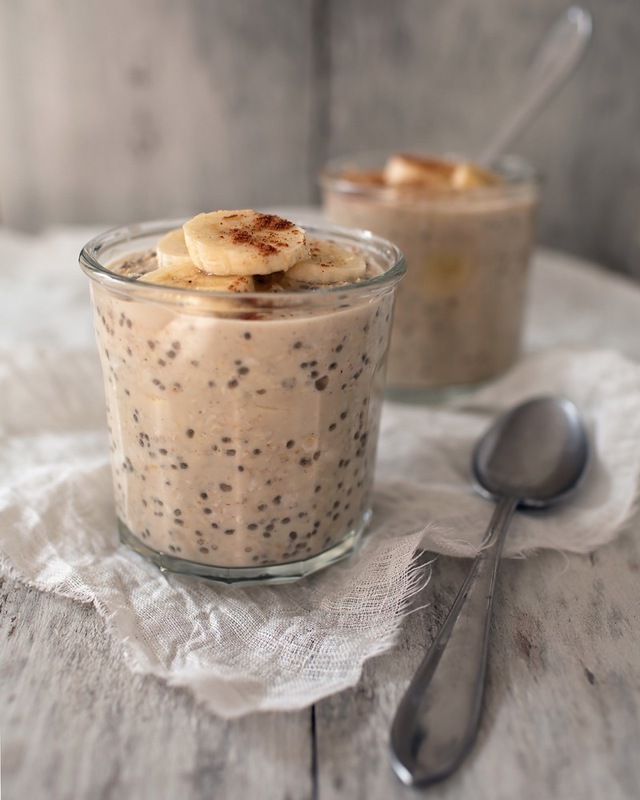 Wonderful soft and delicious parfait is built of licorice chocolate smoothie, chia pudding and banana slices. This thing is insanely good! 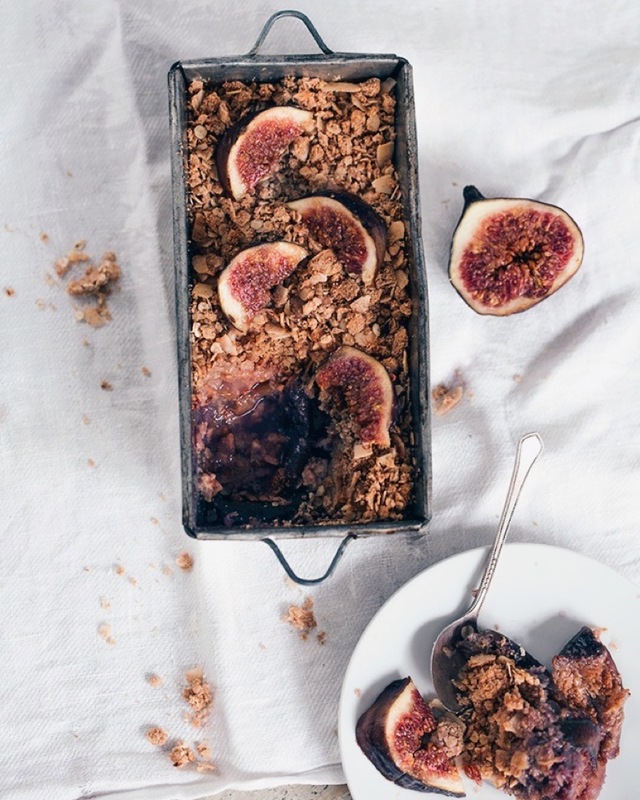 This fig crumble is perfect food for cold season. It’s warm, honest, kinda heavy, juicy, plump and sweet, still somewhat easy going. 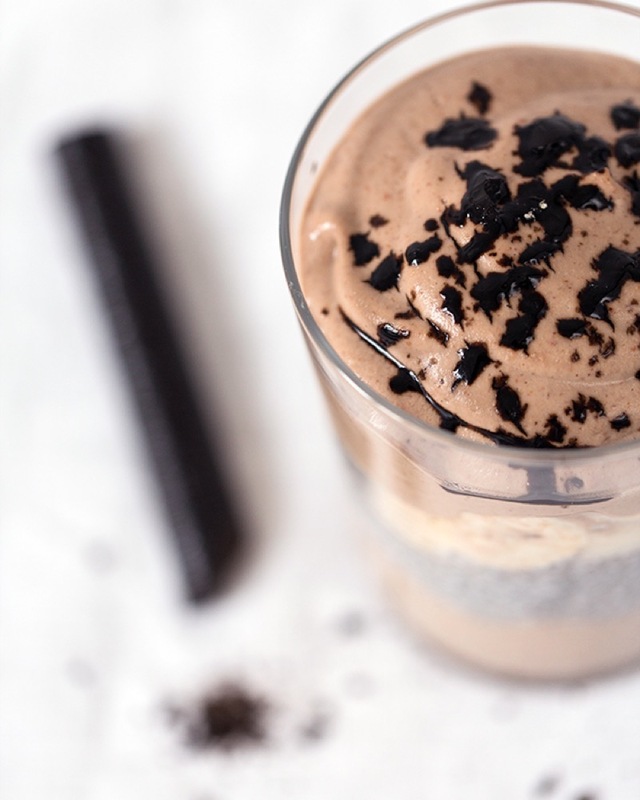 It’s perfect with some ice cream or Greek yogurt. 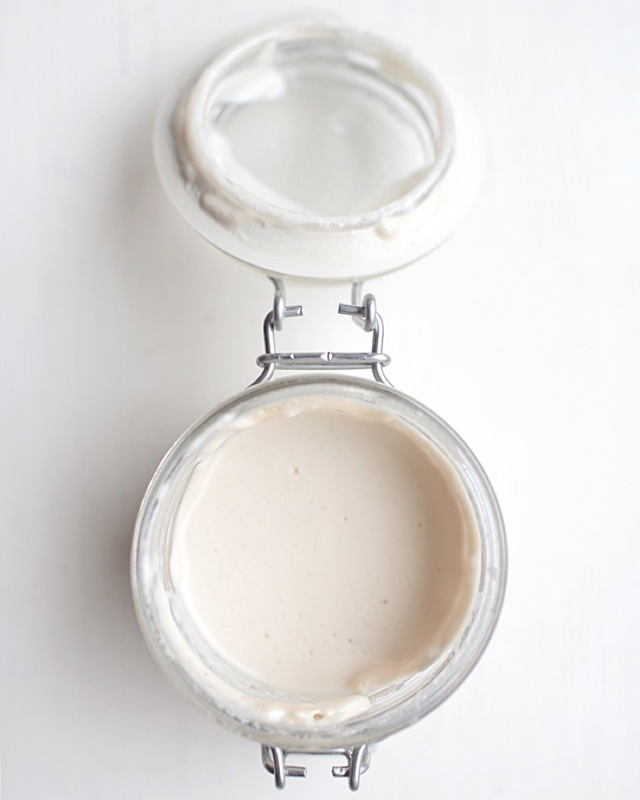 Do you like homemade almond milk but don’t like wasting pulp? 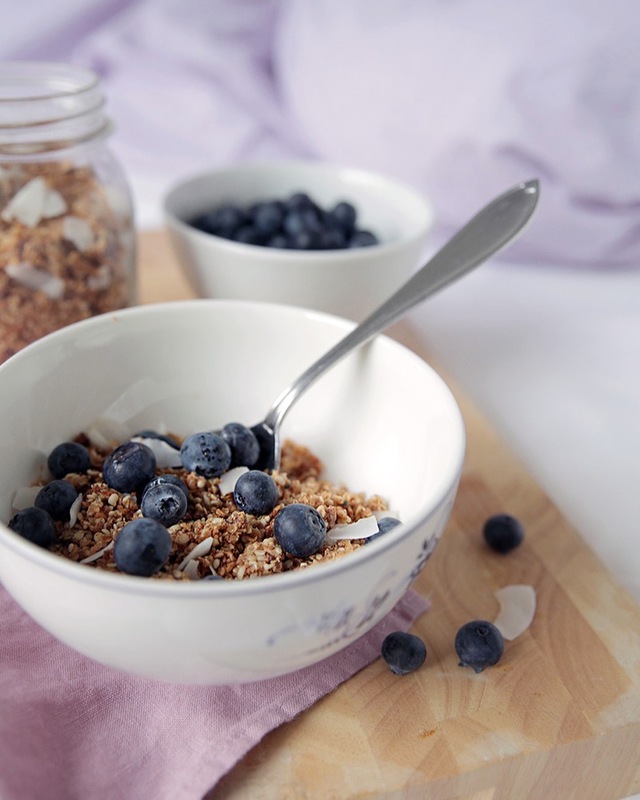 Try this gluten free almond granola! You can substitute the almond pulp with crushed almonds. 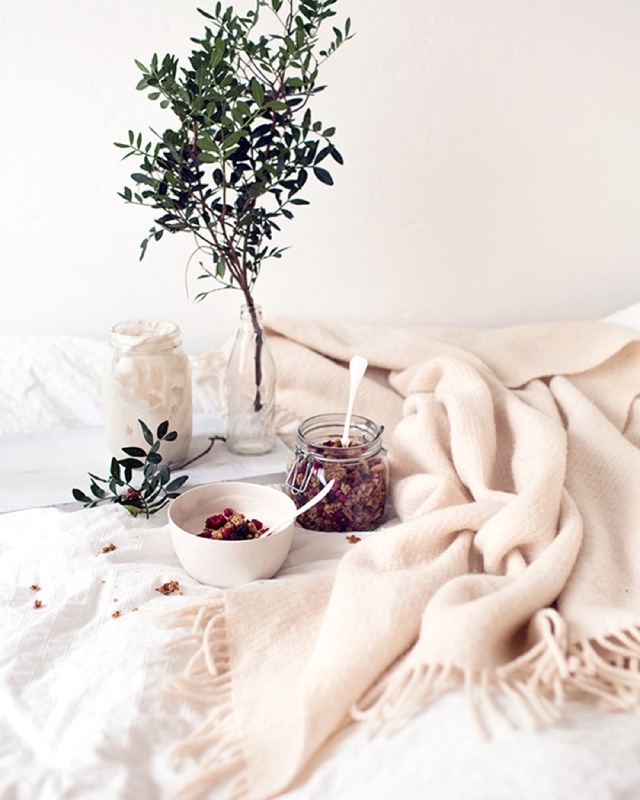 Comfy over-night oats for nourishing breakfast. Stir it a few times, close the lid, put it in the fridge and let the night do its magic. In the morning you will thank yourself.